Here's how to set your kitchen pace to fast forward. You don't need six hands and a talented sous-chef to cook incredible, gourmet dinners within a crunched time limit, set by your stomach or your family. We're pros at getting dinner on the table in less than 40 minutes -- sometimes much less -- since we're in charge of helping thousands of people cook every day. 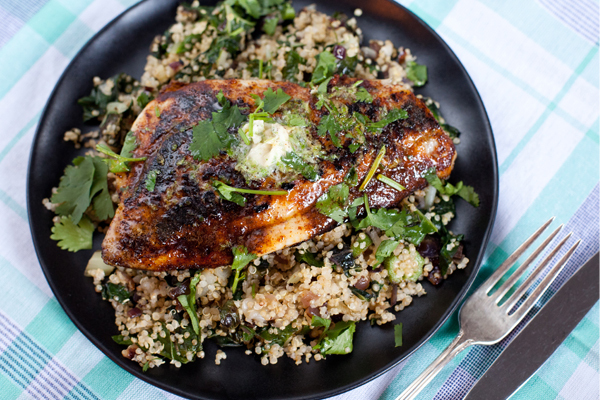 We keep in mind a couple tips about prepping, planning, and cooking easy dinners. Here's how to set your kitchen pace to fast forward and get dinner on the table in the blink of an eye. Do your mise en place. 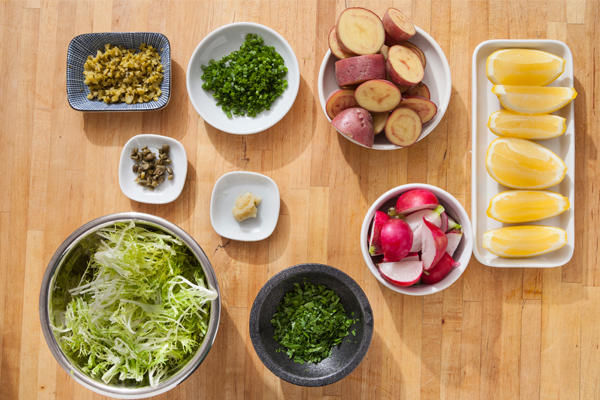 Mise en place means washing, drying, cutting, dicing -- doing all the prepwork needed for your dish. You might recognize here the adage that haste makes waste. While you're chopping vegetables, salting meat, and squeezing lemons, you'll feel like you're taking forever. But when the pan is hot and it's time to throw everything in, you'll be glad your carrots are already chopped. This will prevent burnt vegetables, food waste, and time lost later on. Prep way, way ahead. 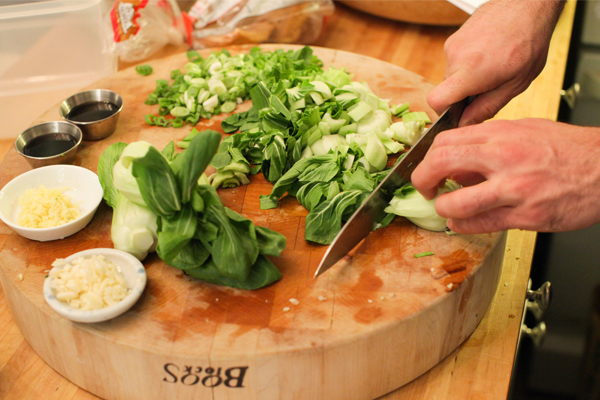 If you know you'll come home in the evening too tired to cook, consider doing some chopping in the morning. Store pre-chopped vegetables in small bowls in the fridge, covered with plastic wrap or dampened paper towels. Pick speed-demon ingredients. Choose foodstuffs that don't need to be cooked for long. Brisket is out, hanger steak is in. 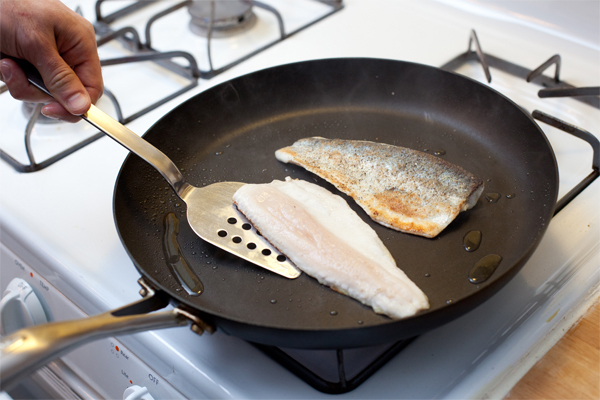 Most fish and shellfish get cooked in less than 15 minutes. Chicken off the bone is ready to eat in a flash. 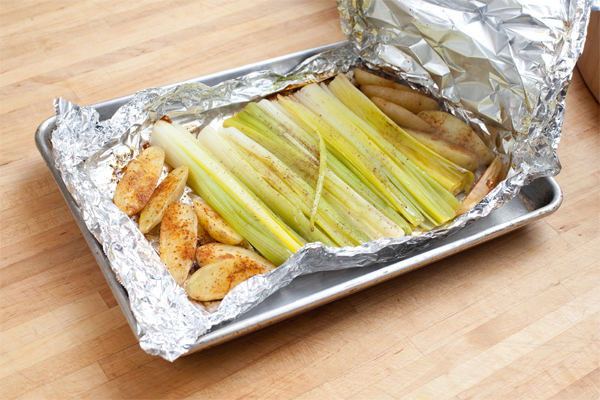 Spring and summer vegetables hardly need any cooking, whereas baked potatoes take close to an hour to soften. Skip the slow and prioritize the quick. Smaller cooks quicker. 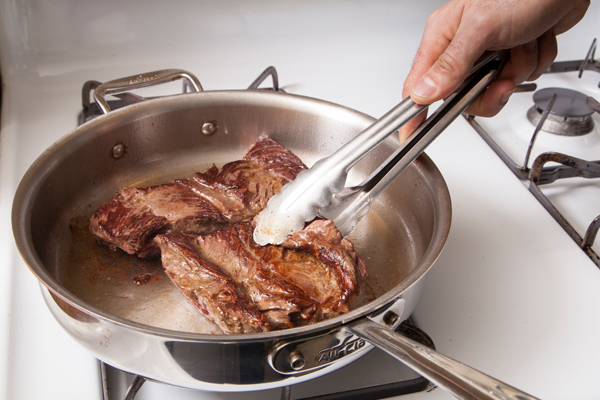 If you want to cut down cooking time for any ingredient, cut down the size of the food. That means dicing potatoes before throwing them into boiling water and slicing chicken breast thin before baking it up as sate. Remember this: finely minced garlic goes from raw to cooked in 30 seconds; whole garlic not so much. Focus your ingredient list. In a case of circular logic, good prep work may reduce cooking time, but lots of ingredients on the table increase the prep work again. So, get rid of ingredients that won't contribute to the overall deliciousness. Do you really need leeks, scallions, AND onions in your dish? That's three times the peeling and washing as if you just used onions. So, how 'bout just leeks? Yeah. Think about whether more variety will better the dish; if not, simply edit out extra ingredients. Pop-out flavors. Because you're cooking quick, think about adding bold spices to the mix. Rub porgy in spicy chili powder, add capers or olives to vegetable sautés, and drizzle flavorful sesame oil on soba or seared fish. Turn up the heat. 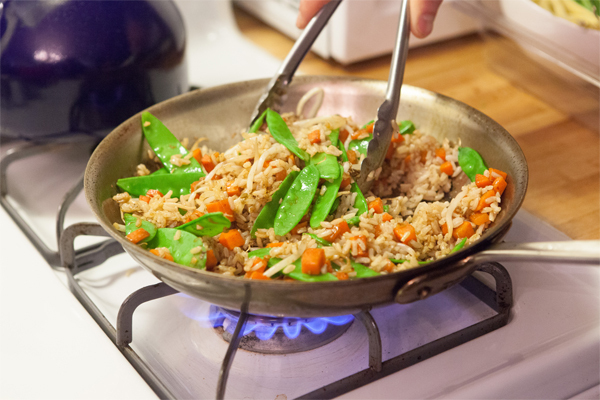 It's not always true that high heat cooks food better, but in the case of two of our favorite techniques -- searing and stir-fry, it really works. Turn the heat up to high, set a pan on the burner, and fry, fry, fry. Multitask on multi-surfaces. To get together a dinner of Pork Tenderloin with Rhubarb Chutney and Asparagus, you'll need to cook three totally different dishes. One way to prevent knocking pans off of fiery burners is to use different surfaces. 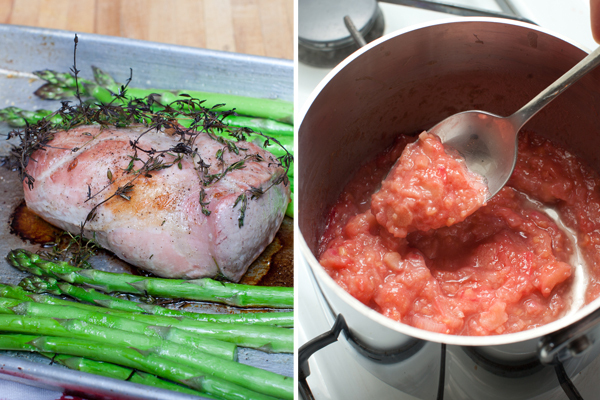 Cook the pork and asparagus in the oven while the rhubarb stews on the stove. Assemble the freekah with butter, almonds, and currants on the table or the counter. Reuse your pans. 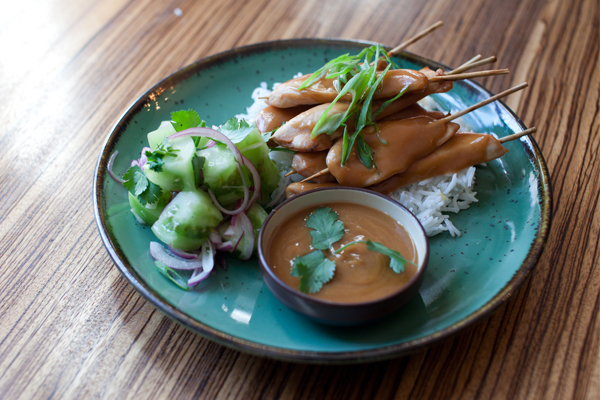 For dishes that come together in minutes, consider reusing pans in assembly-line fashion. Finished searing the trout? Wipe out the pan and sauté your spinach. Done cooking sausage? Add gnocchi and cabbage right into the pan.